Please Note: The Boone's Trail Branch will no longer be open on Wednesdays. The Boone's Trail branch is a cozy community branch with just enough of everything and quick access to the larger District collection. We opened in our current location in 2002. We have nearly 20,000 items in our collection and about 2300 sq ft in our homey branch. We offer regular programs for children and also a few for teens and adults. Stop in and get to know us! 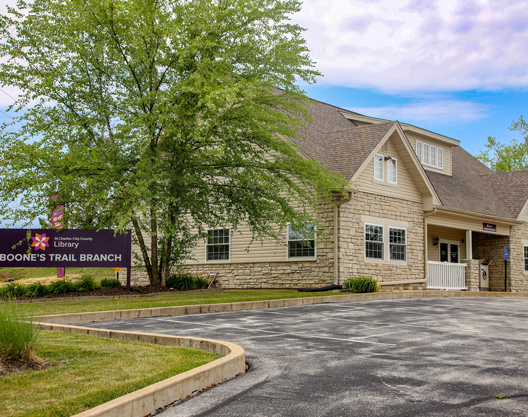 The staff at the Boone’s Trail Branch prides themselves on getting to know each and every customer so they can provide the best possible service. They are all very knowledgeable about the library collection and can assist customers in finding information in library resources. I know that once you visit, you’ll feel like the library is your home away from home.